The Psychology major offers a broad-based foundation for the study of psychology while providing our students flexibility and choice in their undergraduate experience. Students have an opportunity to learn about the complex and multifaceted aspects of thoughts and behaviors while being presented with many opportunities to participate in our department’s wealth of ongoing research. The major can be completed in little more than 30 credit hours allowing our students to explore double majors, minors, and even dual degrees. A degree in Psychology is often chosen by students who are interested in pursuing careers in research, therapy, human services, or a variety of careers that only require a bachelor’s degree. Not all jobs are created equally. Some jobs have a higher pay relative to others, however salary may not reflect other factors like overall job satisfaction. 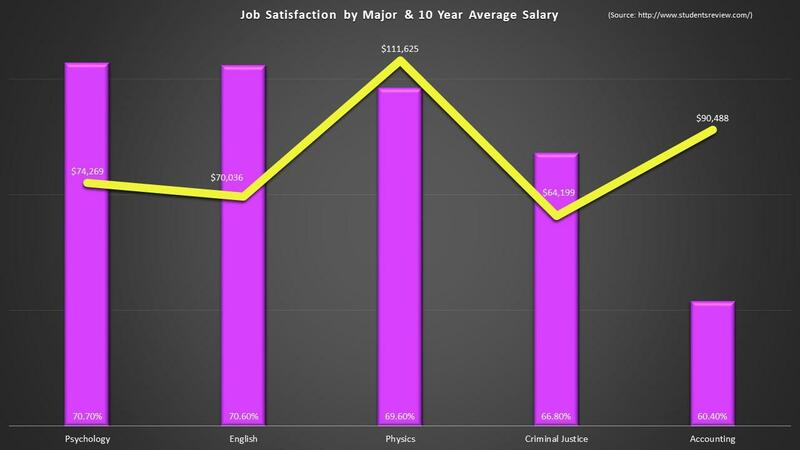 The graph below illustrates how Psychology measures against other fields in both salary and satisfaction. You can also visit our undergraduate Careers Page for more information. American Psychological Association's information on jobs for Bachelor's degree in Psychology. O*Net Online Resource for occupations in Psychology. Career Profiles for jobs for those with bachelor's degrees in Psychology. Psychology is a dynamic discipline with a variety of unique areas of specialization that stem from a firm foundation. The undergraduate degree program provides our students with the core education each psychology student needs to be successful while allowing them to explore areas of specialization. Students also complete twelve (12) hours of Psychology electives of their choice. Those hours can also be used to select an area of specialization. The courses presented in these specializations represent possible course combinations for students who may be interested in a specific area of psychology. The titles featured below do not represent degree designations. Behavioral Neuroscience studies the organic brain and how it changes relative to behavior, stimuli, abnormalities, and changes over time. Cognitive Psychology studies mental processes like thinking, memory, learning, and perception. Industrial-Organizational Psychology studies human behavior in the workplace and organizations and how to solve problems in each. Clinical Psychology studies mental illness and disability relative to diagnosis and treatment of a variety of conditions. The Psychological Sciences department shares K-State’s passion for student success. Our department has a dedicated faculty and staff to ensure our students' needs are met. One of the key components to students' success is effective and timely advising. Psychological Sciences has two enthusiastic and knowledgeable advisers who help our students through the entire process of their undergraduate education in psychology. The K-State Department of Psychological Sciences is proud of all of our alumni. In this section, we would like to introduce you to some of our Alumni Advisory Council that earned their undergraduate degrees from K-State. 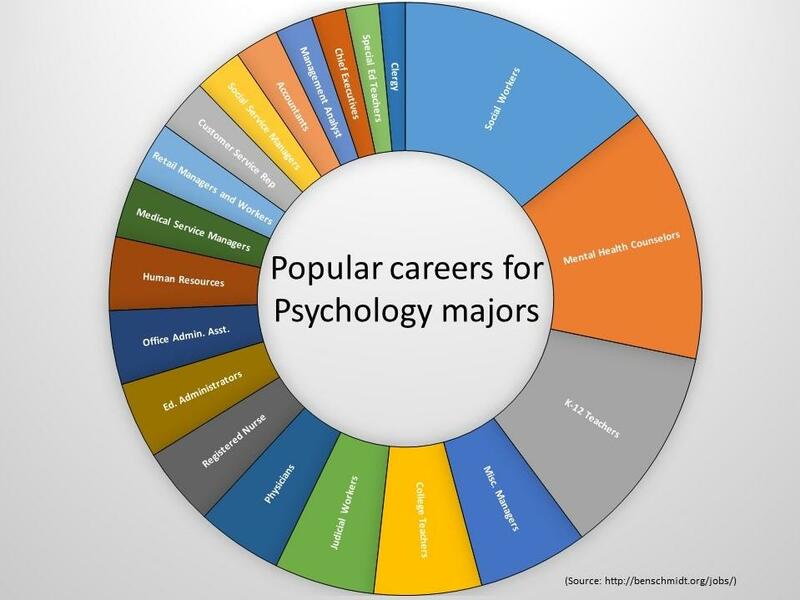 They represent a wide variety of career choices one can make with a Psychology degree! The Psychological Sciences department at Kansas State University is dedicated to a variety of research areas. Our undergraduates have a unique opportunity to work alongside our faculty and graduate students while employing the skills they have learned in the classroom. The undergraduate students who participate in the Psychological Sciences department's research opportunities learn more than just how to gather data. Students learn key skills in professional development for later in their careers. Our students develop Undergraduate Research Profiles that allow them to share their experience with other students and professionals in the field.